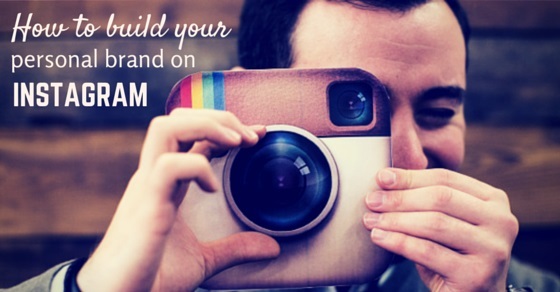 How to Build your Personal Brand on Instagram? Instagram is a popular photo uploading platform where you can post and share images with special retro effects. Instagram has over 150 million users and over 5 billion photo uploads. In short, it is a social network that has captivated a wider range of audience, whether they are real photographers or general users. But apart from being just a social network, Instagram has been a major platform for building up your personal brand. The site has been a huge market for building up brands including photography, videography and photo journalism. With a number of celebrities, who have utilized it for constructing up their brands, have successfully gained millions of fan followers, likes and comments on their photos. Let’s see some of the techniques of building up such a personal brand on Instagram. Your username portrays your characteristic so choose it wisely. I have seen several people use complicated usernames which are tough to remember and cannot be pronounced properly. So choose a simple and easy to be remembered name as users can find it easily. It is wise to choose a unique name for all your professional social network handles so that users can identify you and help you acquire the name. Uniqueness is the key to a successful personality. Your exclusivity creates an opinion in the minds of people. This uniqueness can be brought from your profile picture, information and the postings that your make. With this small and distinctive information you can attract any visitor who’s likely to love your postings and like them and ultimately end up following you. There’s a similar user called Camposwell who posts images of small woody models at different locations in different styles. He made a uniqueness out of it which made him achieve 2.2 million followers. Hashtags improves your search ability inside the community, so you need to use tags which are mostly searched and which are popular. Hashtags are the smart way to reinforce your brand. Users who don’t understand the value of using hashtags generally make a story out of using a long list of hashtags. This looks very messy and your followers will end up slumbering over reading it. The smarter way to build up your brand is creating your own hashtag. Making your own hashtag highlights your brand and makes it stronger. For example, fashion blogger Kristina Bazan often uses the hashtag #kaytureonthego while she posts her new travel photos. By using this hashtag she notifies people that she is traveling and also she has acquired this unique hashtag. Followed by the fact that, now her followers will look forward for her next blog post with her new experience that she’s going to share. Staying engaged refers to the comments and conversations that you generally have with your followers on Instagram. Interacting with fellow users and followers is one of the biggest factors for building up a brand. To begin it you should post some photos that can engage users and force them to comment. Following this you can start your interaction with the commenters and engage them into an interesting conversation. Post exclusive images which has first arrived on the web or exclusively taken by you. Generally photographers are used of posting the exclusive photos but if you are aiming to build your own brand then you should also take this step. Natalie Naccache, a British-Lebanese photographer, covers the modern Arab society and posts the most exclusive images from the network. This has helped her establish her own brand and gain loads of followers. You should also pay attention to the smallest details such as your profile photo and information. Choose a good and original photo of your brand or a logo to make people aware of what your profile is all about. Use short and precise information on your profile to explain about your brand and what it deals with. With such accurate information, users will recognize your brand and get to learn what kind of updates you are going to provide them. You can also add your professional email address, phone number or Facebook/Twitter account handles so that users stay confident about your brand. Using geolocations make people aware of your exact location on the image that you post. This makes your images geographically ordered and also indicates that your images are exclusive and genuine. You can also maintain privacy by deactivating the feature if you don’t want to show it. Be very careful about tagging people. Sometimes you might tag people who are not supposed to be tagged. Although, there’s no such controversy about Instagram tagging like Facebook does, still you should be cautious about it. And if any such issue occurs, you can activate the review filter option which lets you decide whether you want your image to be tagged or not. You can start a weekly or monthly contest and achieve more visitors. Contests indeed bring out impressive results and boost your brand productivity by 80%. You can offer some good prize for the winners but make sure you do it, because often companies who run contests in social media turn out fake when they don’t announce their winners and keep back the prizes. You can also promote your contests on other social media sites for achieving additional followers. The most effective ideas can be attained from the bigger brands on Instagram. Follow and learn how they operate their profiles and the strategies that they use while posting each photo. For example, J Crew not only posts their product images but they also portray the lifestyle that would suit and buy their products. They add the moments and people who would suit their creations and therefore, target audiences from a particular sector. Besides, J Crew also uses exclusive hashtags to promote their products. Attract visitors from other social networks, including Facebook and Twitter. You can share your Instagram postings outside the site to promote your brand and pull more followers. Twitter is likely to be an effective platform for achieving more followers since your Twitter followers are already aware of your brand and updates, they will also follow you in Instagram. This also makes your brand go viral and help you fulfill your goals. Including your brand logo in images adds professionalism. Use the logo as a watermark in your photos. It protects your images from thefts and is a full proof protection for your brand. You can choose some third party apps like iWatermark for watermarking your Instagram images which can be used on Mac, Windows, iPhone and Android devices. Proper synchronization of your Instagram account with your Facebook and Twitter pages makes the content viral. Then you won’t need to manually post your images every time in the social networks, instead Instagram will post them automatically. If you fail to integrate your accounts with Instagram, then your brand will not obtain that amount of recognition. So check your Instagram account settings to integrate them. Post photos and videos that tells a story. Make sure your followers find some sense in it and find it meaningful. Users always seek for something new and interesting so post something that engages the user. You can elaborately write about the image or video in your next blog post so that your followers are forced to like it and wait patiently for the detailed story. Focus on your brand’s quality rather paying attention to quantity. If you post one image/video a day, make sure it meets the excellence. Choose the best image and check it 3-4 times before posting. You don’t need to use filters every time but you can use your exclusive hashtags. Make sure the image is interesting and carries the ability to enthrall your followers. While you add images/videos, don’t forget to add a definition to it. Definitions help people learn about your life and reflect your personal characteristics. Keep your postings consistent and explain concisely about your life in the image. People will get to understand about your personality in normal life. Instagram offers you to add a badge in your website/blog so that visitors can reach directly to your Instagram profile via your blog. The badges are available in different shapes and sizes and you can also add a text with it like ‘Watch out for our current updates and photos in Instagram’, or something similar to that. This will help you achieve more audience. So you can see that Instagram is not just a social network but is also an effective way to improve your branding. If you are seeking for extra recognition and want to make your brand go viral then utilize it smartly by following the above tips. Your brand contains an identity to try to make it unique and elite. Previous articleWhat Communication Skills do Employers want in you?